With winter coming to an end, we are enjoying this warmer weather and getting excited for summer! Although we will miss the stunning winter paddling conditions. 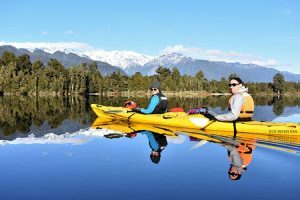 Take a look at some of the below shots that have been captured on our kayaking tours this winter. 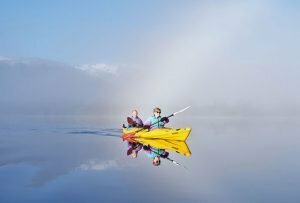 The misty mornings are an all time winter favorite on Lake Mapourika. 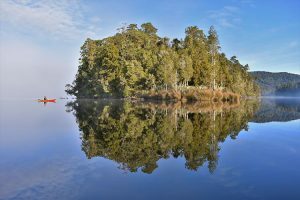 These mornings are often described as the prime time for kayaking, as the photo opportunities are endless! At times like these we are glad our guides carry a compass! As we approach the far shoreline on these misty trips, the rain-forest starts to break through the mist. Turning the corner into Echo Bay you begin to notice the unbeatable reflections. The Kiwi Sanctuary Creek on the far side of the lake is begins to clear and the Jurassic rain forest reveals itself. Enjoy the calm peaceful surroundings. 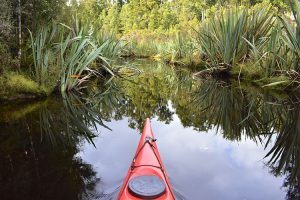 Flax bushes reflecting in the water and the 900-year-old Kahikatea trees branching out above with the native bird song filling the air. Although it can be crisp on the cooler mornings, the feeling of being immersed in nature is unbeatable. 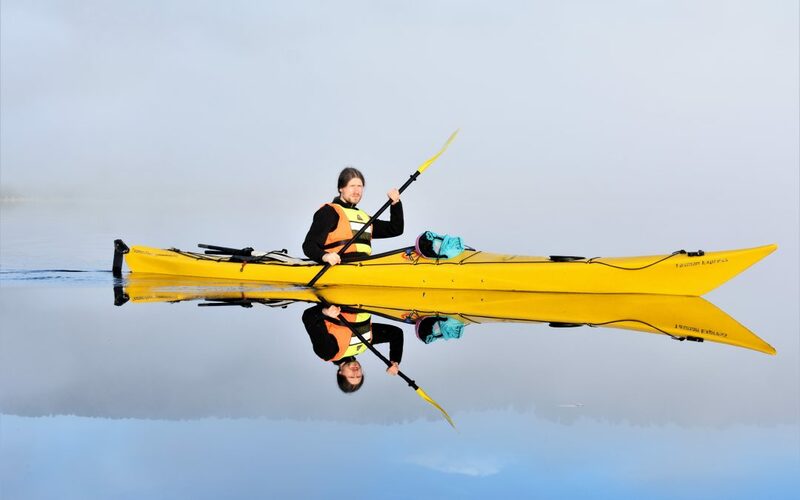 Paddling back across the lake on a winters morning, the views are unreal. The Southern Alps are in full view, and on a clear day you can see as far as Mt Tasman and Mt Cook. The reflective waters once again allow the perfect opportunity to snap a new profile picture! These calm mornings will be missed, but we are ready for the busy summer season. The warmer weather is on the way and we can’t wait for some mid-trip swims!